In the heart of Bordeaux, in a beautiful private house in the 18th century style, completely renovated, is Villa Victor Louis, a true haven of peace. A few steps from Saint Seurin, or a few minutes walk from the alleys of Tourny, the Grand Theatre or rue sainte Catherine, it enjoys a location much appreciated by its guests and very close to the golden triangle of Bordeaux. Some suites offer you a view of the rooftops of Bordeaux. Its rooms and suites, with their refined and charming decoration, as well as its secret garden, will offer you an atmosphere of absolute calm and well-being. It is in this universe that plunges you into another era that Villa Victor Louis opens its doors to you. Whether with family, friends in love or even for professional reasons. Whether you stay for one or more nights, your trip will be enhanced by a stay in our charming residence. Close to Bordeaux’s tourist attractions, the central location of the guest house will make your travel easier. We also provide bicycles for you to discover Bordeaux in a different way. 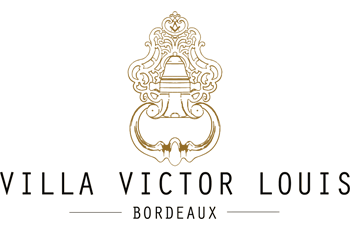 As a top-of-the-range establishment, Villa Victor Louis offers high quality personalized services to enhance the stay of its guests. Among them, the concierge service is at your service for any advice and restaurant booking, transfer request, oenological stay or discovery and wine tourism on the Bordeaux wine route or other specific requests. Our famous breakfast, mainly made up of organic and local products, is served every morning and highlights the French cuisine and the establishment’s commitment to the values of respect for the environment. Our large flowered garden is also a plus for our accommodation. Our beautiful home will always give you a warm welcome. Open all year round, this guest room in France has magnificent bathrooms and free wifi internet. To sum up, by staying in this top-of-the-range guest room, you will enjoy top-of-the-range hotel services while maintaining a warm and refined setting of a charming room. Our establishment is therefore a perfect blend of luxury accommodation and a charming residence.